Last Tuesday—August 22nd—without fanfare the U.S. Marshal’s Service picked up Richard Wershe, Jr. at Michigan’s Oaks Correctional Facility for transport to Florida to begin serving what’s left of a five-year prison sentence there for his guilty plea in an auto fraud and theft scheme when he was in federal prison in that state in 2004—05. When he will arrive in Florida is unknown. Officials at Michigan’s Oaks prison were in contact with Florida officials about transporting Wershe to the Sunshine state. There were several options, including the possibility of flying him from Michigan to Florida. That didn’t happen. The U.S. Marshal’s Service has a lot of experience moving prisoners from lockups to court houses, from local jails to federal prisons and from prison to prison. Their services are available to state prison systems, if needed—for an established price. That is, Florida can pay them to get a prisoner like Wershe and bring him to them. Apparently, there was some back and forth about Rick’s past as a federal informant, his notoriety in the media and the fact he has had some health issues in the past that might require urgent attention if he’s in transit. All of these things may have been a factor in the Florida decision to have the Marshal’s Service transport Wershe to their custody. Unlike the private for-profit transport services, the Marshal’s Service moves prisoners at its own pace. They may park an inmate in a federal prison facility for a few days or even a few weeks as they juggle vehicles and staff and move prisoners on a timetable and travel route that is convenient for them. The State of Florida doesn’t much care, as long as he gets there. For Rick Wershe, it has no impact on his prison time because transit days count toward time-served. In custody is in custody, no matter where your body happens to be. So however long it takes the U.S. Marshals to move him from Michigan to Florida, those days count toward his time-served in the Florida case. When Wershe gets to Florida, he will be in a different environment, and that doesn’t mean the weather. Speaking of weather, most Florida prisons are not air conditioned. Only 11 of the state’s 48 prisons have some air-conditioned units. His first stop will be an “intake” center. There he will be formally interviewed by the staff and evaluated. This process will determine where he is housed, where he will spend his time while serving his sentence. For now, no one knows which facility he will be in. 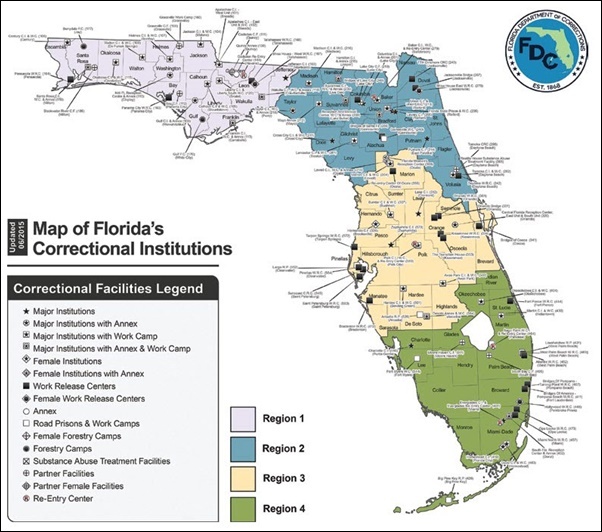 Florida has prisons, “annexes”, “work camps” and the like spread all over the state, housing over 99,000 inmates. His unit at Oaks was segregated from the rest of the inmate population. Convicted police officers, judges and other informants were his neighbors. They ate together, exercised together and Rick had a one-man cell. He never had any trouble incidents. 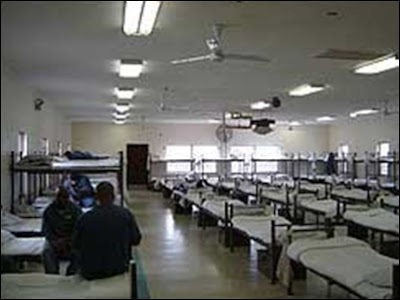 Florida favors dormitory-style prisons. That’s not to say Rick Wershe will end up living in a prison dorm, but it is the norm in the Florida corrections system. In Oaks, the inmates had restricted cable TV. That is, some channels were blocked but many cable channels were available to the inmates. No such luck in Florida. CNN, Fox News, MSNBC, ESPN and Comedy Central are not options. While Rick is in prison in Florida, he won’t starve but he’s not likely to be sending out letters raving about the cuisine, either. Florida has “canteens” where inmates can get vending machine junk food such as Pop Tarts, pudding cups, Velveeta chili and cheese cups, pretzels, chips and similar fare. But they also have three regular meals per day which are carefully calibrated for caloric content, minimum daily nutrients and so forth. There’s no mention of what the stuff tastes like. A typical lunch is a modest portion of “torta” meat, which is ground or chopped meat like you’d find in a taco, a serving of rice, dried beans, some shredded cheese, a piece of bread and a “marinated vegetable medley” with a beverage, such as tea. Dinner might be a piece of turkey ham, cheesy grits, a “marinated vegetable medley”, a piece of bread or a biscuit, a pat of margarine and a beverage. The food list above was obtained from the Florida Department of Corrections web site. The menu doesn’t change much week in and week out. The Informant America blog will keep you updated as more is learned about Rick Wershe’s new, temporary life, in Florida.